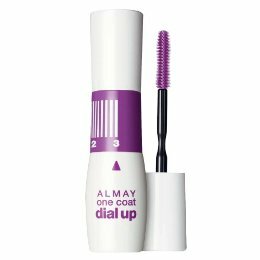 Adjustable dial allows you to take your lashes from full to fuller to fullest, providing the customized look you want in just one coat. Molded brush separates and defines every lash while quick building volumizing formula applies evenly and easily. I'm really curious to see how this will work. So this sucker is definitely on my radar and will be picked up on my next beauty haul. What do you think? Have you tried it? Or will you be picking it up too? Let me know! I bought it last week. The first level is good, no clumping, the second level is tolerable, but the third level is just filled with clumps. Lasting power isn't all that great, and it doesn't hold a curl. There's many better mascaras out there.